Put your best face forward each morning with a clean shave from Harry’s. Sign-up and get your free trial for just $3 (the cost of shipping) which includes a weighted ergonomic handle, a 5-precision blade head with a lubricating strip and trimmer blade, plus a travel cover and rich lathering shave gel. Harry’s is German engineered shaving simplicity with a few key components that set them apart. The blade cartridge features a rubber flex hinge that balances elasticity and resistance to help glide more comfortably over the contours of your face. The blade at the top of the cartridge makes it easy to trim your sideburns and hard-to-reach places like under your nose. The Truman handle is made with a weighted core and an ergonomic shape that is designed for in hand comfort that helps you control while shaving. Choose from blue, green, or orange handles. 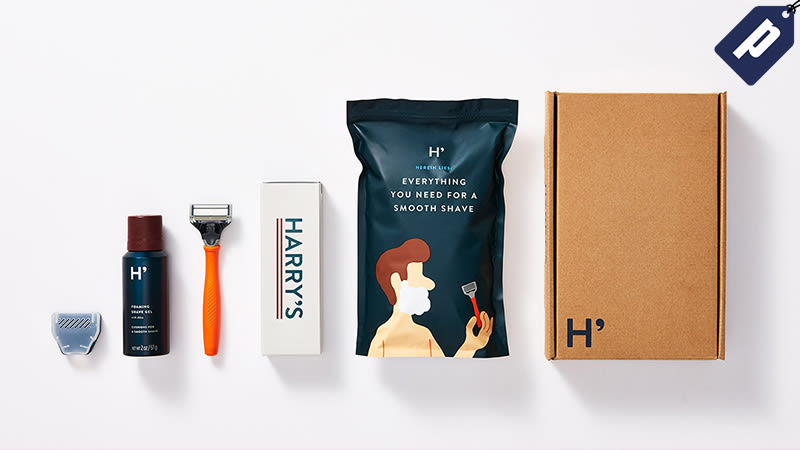 Make your shave smoother with a Harry’s free trial, you only have to pay $3 which covers the cost of shipping.